Mair bootie from ATP is full of attitude. 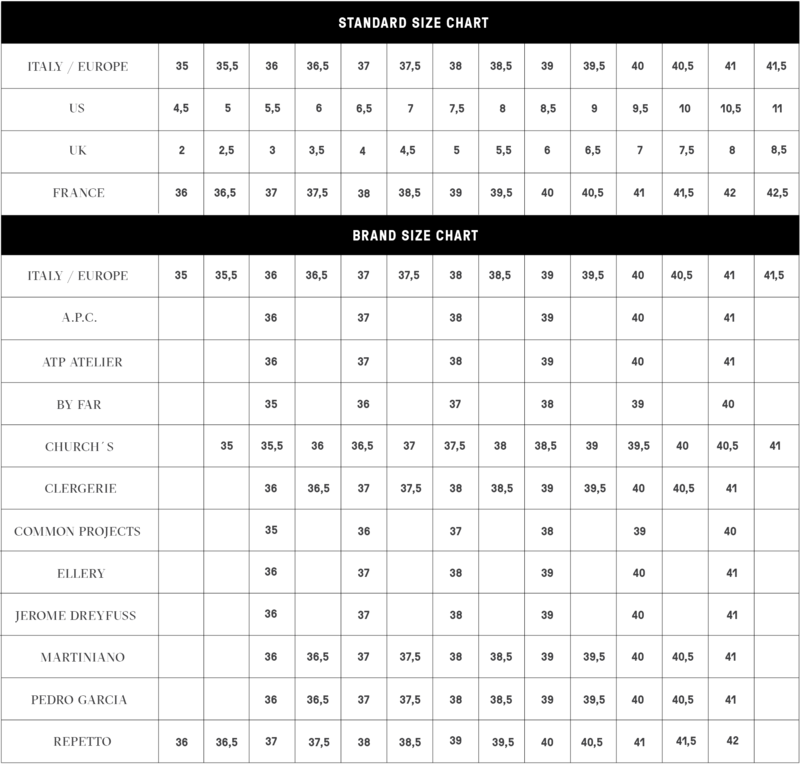 It has a strong pointed toe with low profile. 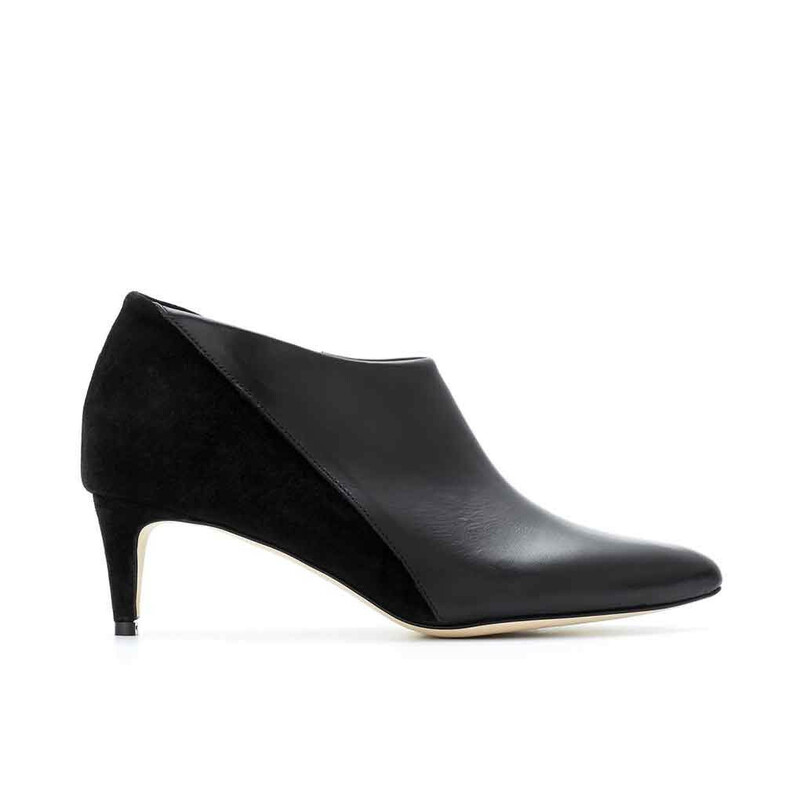 This creates a sense of continuous streamlined silhouette and edgy look to the shoe. Mair has an elegant mix of luxurious suede at the back of the shoe and smooth leather with matt luster on the front, concealed metal zipper in gold on the inside, and a 5 cm stiletto heel coated with suede. 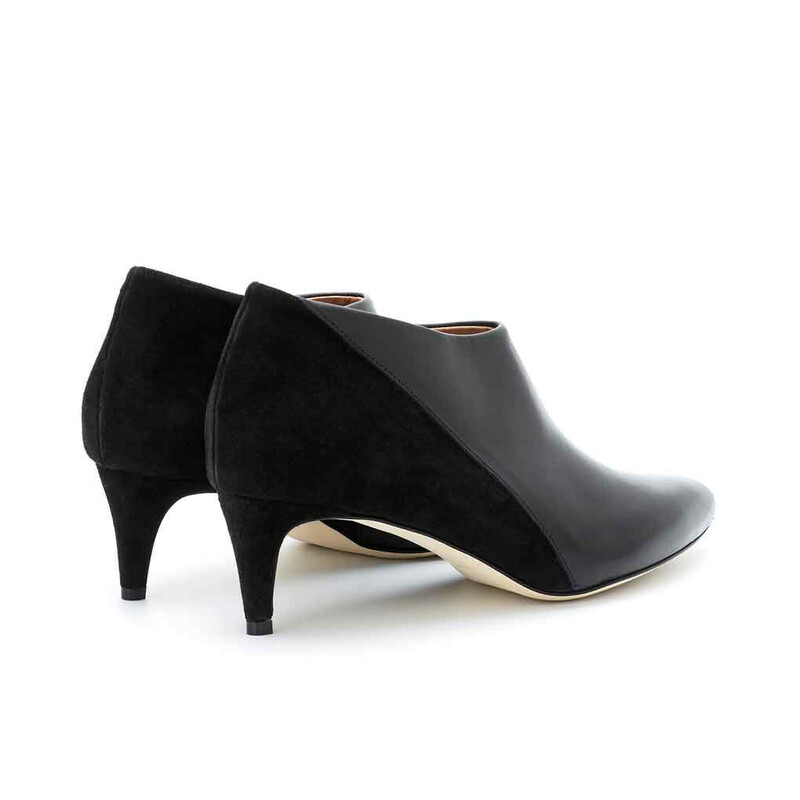 1 x Mair Bootie was added to your shopping bag. 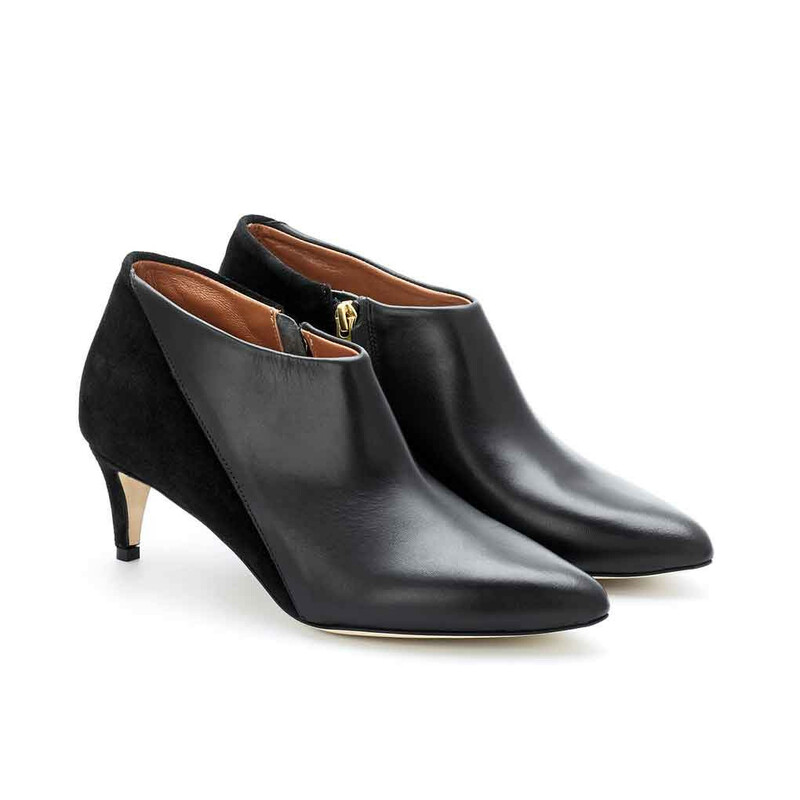 1 x Mair Bootie was added to your wishlist.